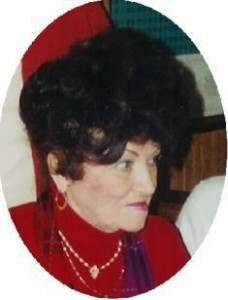 Mary F. Basken, 88, of the Maplecrest Apartments in Port Washington, died June 13, 2008 at her apartment. She was born March 26, 1920 in Port Washington, Wisconsin to John and Florence Meyer Husting and grew up in Port Washington graduating from St. Mary’s Cathollic School. She married Elmer J. Basken of Saukville on September 27, 1941 at St. Mary’s Church in Port Washington. They live in Saukville for a while and later moved to Parknoll Lane in Port Washington. Mary enjoyed baking delicious desserts and shopping. She led a quiet and simple life. her husband preceded her in death March 16, 1991. She is survived by her siblings Esther Husting, Florence Jaeger both of Port Washington, Harold (Barbara) Husting of Venice, Florida, Joyce Zignego of the Town of Erin, Wisconsin, Gerald (Maria) Husting of Crivitz, Wisconsin and Ronald (Marilyn) Husting of Muskego, Wisconsin. Further survived by sister-in-law Mary Ellen Husting of Port Washington, nieces, nephews, other relatives and friends. Preceded by her husband and a brother, Oliver Husting. Rev. Tom Lijewski will celebrate a Mass of Christian Burial 7 pm Tuesday, June 17, 200 at St. Mary’s Church, Port Washington. Entombment parish cemetery. Visitation 4 – 6:30 pm at the funeral home. Memorials appreciated.